I decided to go for the whole grey thing a couple of months ago when I was getting pretty bored of my blonde, going for my routine highlights every few months. I had to have my whole head bleached at the salon and this is NOT to be taken lightly, I had months of a good haircare in order to make sure my hair was strong and healthy enough to take the bleach. Here are few products I have found super helpful. Matrix So Sliver, this is what they use in salons , smells lovely and has a lot of purple pigment in it to strip away any brassy tones. 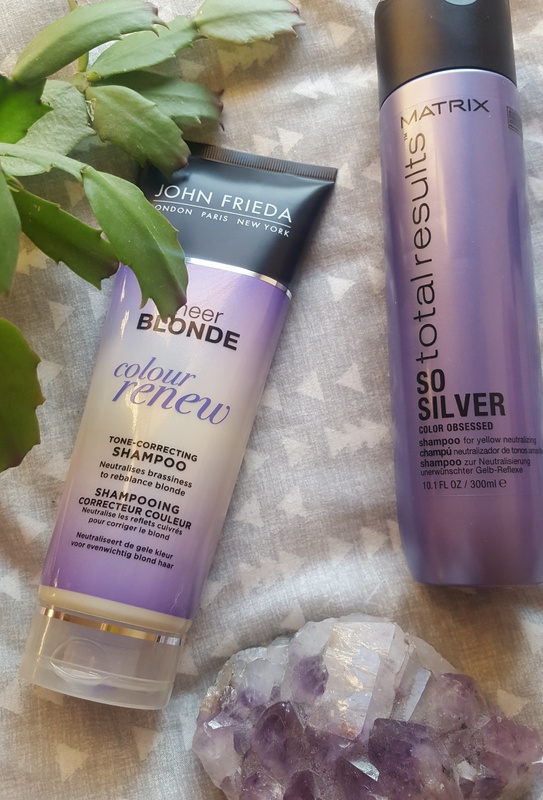 John Frieda sheer blonde colour renew, I find I use this this one if I want a quicker and less intense purple pigment and will again help balance those orange tones! 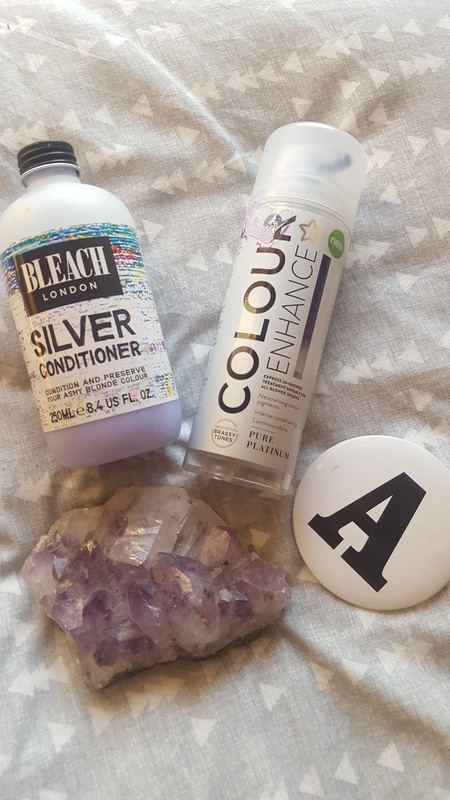 Bleach London Sliver Conditioner , I love the smell of this conditioner and feels lovely on the hair, leaving it soft and shiny. 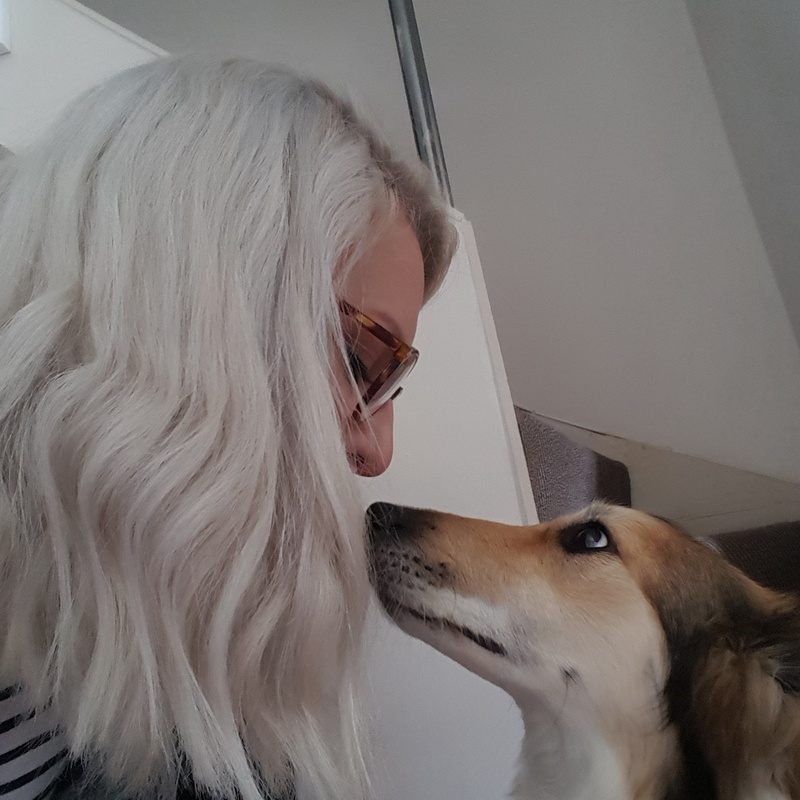 Superdrug Colour Enhance which isn’t a conditioner you use every wash just once every couple of weeks to help ditch the brassy notes that come through on blonde.